Looking for Thermal Forcing Systems for evaluation, characterization, validation , IC or sensor devices. we can support your engineering teams with temperature forcing systems to validate the design and to support failure analysis. 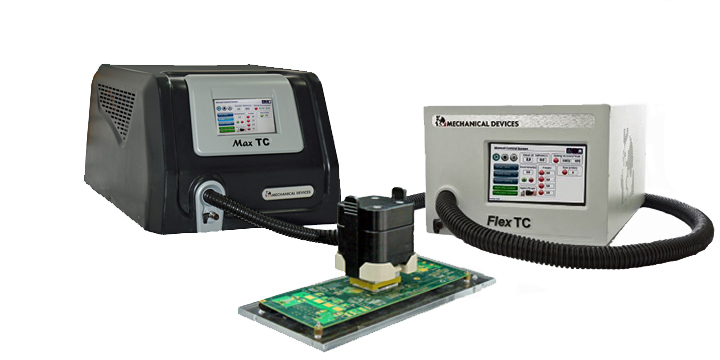 Mechanical Devices -Advanced Thermal Solutions Company is a global leader and innovator in Developing Producing and Supplying state of the art thermal solutions that are used primarily by semiconductor manufacturers to test their IC devices over temperature. Mechanical devices temperature control units perform fast, accurate, stable and cost effective solutions, using advance and patented technology. 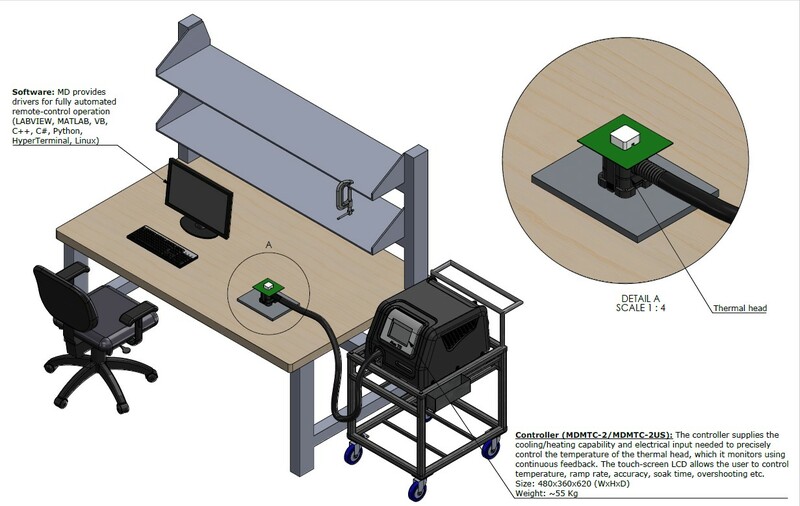 As an integral part of the qualification and characterization process, engineers verify the sensor or IC is operational at different environmental conditions such as extreme temperature. or meet the Automotive, Airspace specifications. 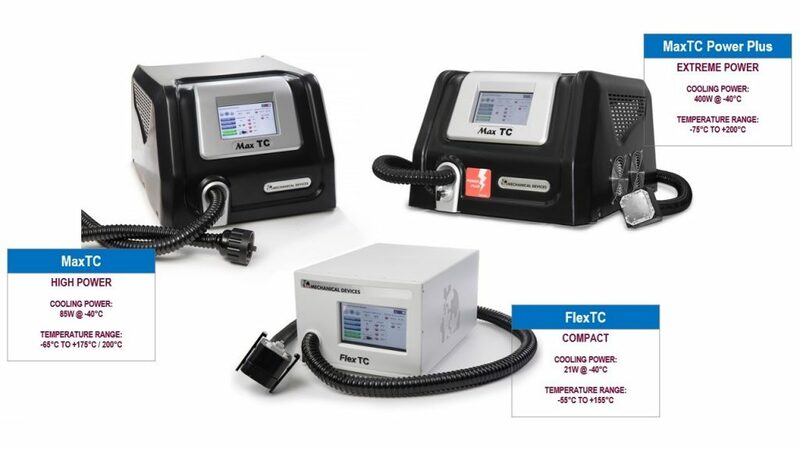 With the industry’s main temperature control units Flex TC/Max TC /Power Plus, Mechanical devices is changing the way of testing and controlling the temperature, enabling semiconductor manufacturers to enhance their profitability and reliability by improving the efficiency and accuracy of their IC test processes. 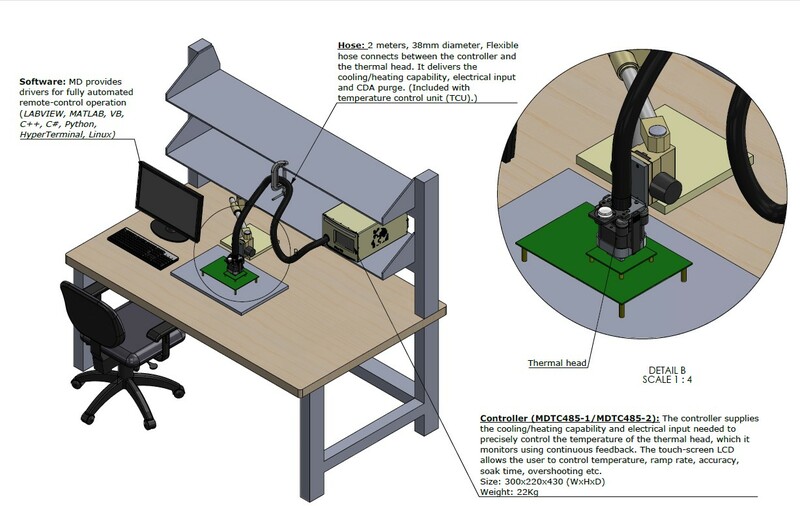 To simulate extreme temperature conditions at the lab and later on at the test house facility. Mechanical Devices Thermal Forcing systems are well integrated with automatic test equipment (ATE), SLT and Handlers. Mechanical Devices Ltd Develops, Produces and Supplies state of the art thermal solutions to the worldwide semiconductor industry to test devices over temperature, whether in benchtop, ATE or SLT. MD and its channel partners provide worldwide sales, service, and technical support. Temperature range options from -75°C to 200°C. Cooling power options can reach -40°C@400W. Let’s Talk / Meetup, Contact us Today! Direct Contact TCU – free of fluid and compressed air. MD Thermal control units were designed with high performance and flexibility in mind, allowing for customization to suit different package and interface variations. The system allows for temperature forcing on any package. With state of the art design and technology, MD units stimulates the DUT to the desired temperature precisely and consistently via direct contact with a thermal head’s plunger. MD Thermal control units are self-contained, for real plug and play setup.